One of the world's biggest games just got WAY better. Published in partnership with World Of Tanks. Wargaming's out-of-nowhere runaway success fast became one of the most talked-about titles in modern gaming, thanks to a perfect blend of tactile controls, impactful combat and easy-access online multiplayer. 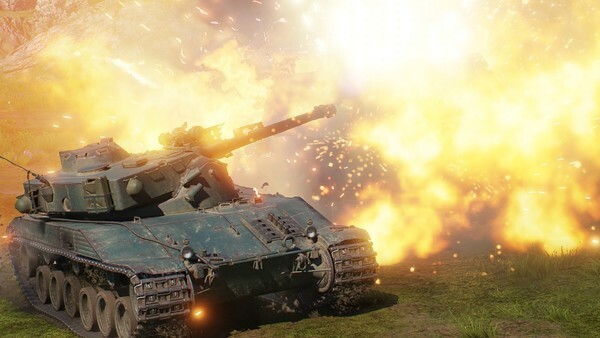 Now with a thriving fanbase of 160 million players and eight solid years of nothing but forward momentum, we're getting the World Of Tanks 1.0 update, which is essentially a full-on remaster of the original. Designed around overhauling the base game in all the right ways, there's a lot to dissect as to how this will effect the experience. 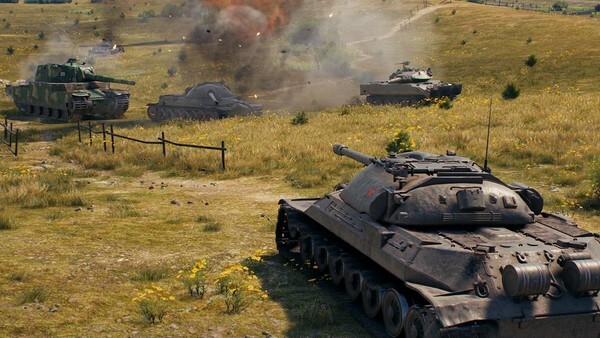 Whether you're just starting out or World of Tanks is a daily occurrence, this 1.0 update is set to make one of the most popular games of the decade even better. Remastering games for the new generation is fast seeing many favourites get notable overhauls, but World of Tanks really stands out as something special. Rebuilding the experience to include better terrain textures, water effects, lighting improvements and more vegetation, this should help tenfold with immersion and gameplay in general. Developed in-house to ensure a higher level of quality and attention to detail, World of Tanks in 2018 is a demonstrable and impressive step up from where we first started in 2011. 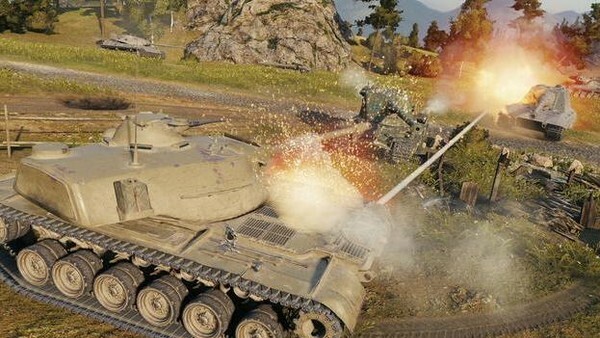 Speaking of the lengths Wargaming have gone to increase immersion and atmosphere, the 1.0 Update also sees a new soundtrack update all the game's music and sound effects. Each map now has unique music, creating a unique atmosphere for each battle with specific instrumentation and region-specific touches. 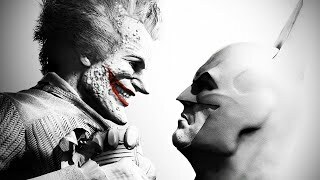 Whether you're diving in for the first time or it's past midnight and you're determined to have "just one more game", players should start to get a feel for the map that's loading in, thanks to new loading screen themes. Lastly, the music and soundscapes will change depending on the situation you and your team are in, amping up the tension and ensuring that matches feel better than ever. An online game is nothing without expertly-designed levels, and here the creators have gone back to every map, to touch it up in many different ways. Employing the aforementioned graphical techniques that range from ambient lighting to filling every nook and cranny with more texture detail or vegetation, it means all maps have far more to offer from a pure visual standpoint. With 160 million players blasting the holy hell out of everyone and everything, it's a great excuse to revisit all your favourite spots - and discover a host of new ones. Of all the different games that have ever done real-time destruction, there's no better tech than Havok. Propping up many popular action games, now World of Tanks will see overhauled environmental obliteration, courtesy of Havok implementation. It means watchtowers and brick walls will crumble realistically, adding tenfold to the overall carnage of your average game. Assumedly many parts of the revamped maps will also let you barrel on through - as after all, there's nothing quite so empowering as driving some of the biggest tanks in human history. 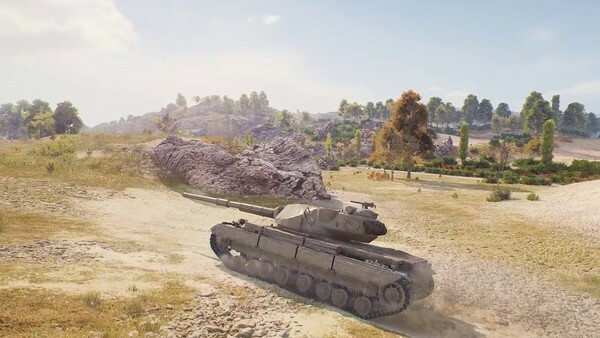 All of the above enhancements doesn't mean that Wargaming are capping their time on World of Tanks by going out with a bang. Instead, the 1.0 update exemplifies just how talented and hardworking the team have been across the last few years, with the upgraded game engine laying a more solid foundation for future updates and tweaks to come. So dive in, explore the new maps, familiarise yourself with the awesome new soundscapes and environmental design upgrades - and get ready for even more in the future. Click here to Test It Now! The free-to-play MMO that gets players behind history-defining armoured vehicles!